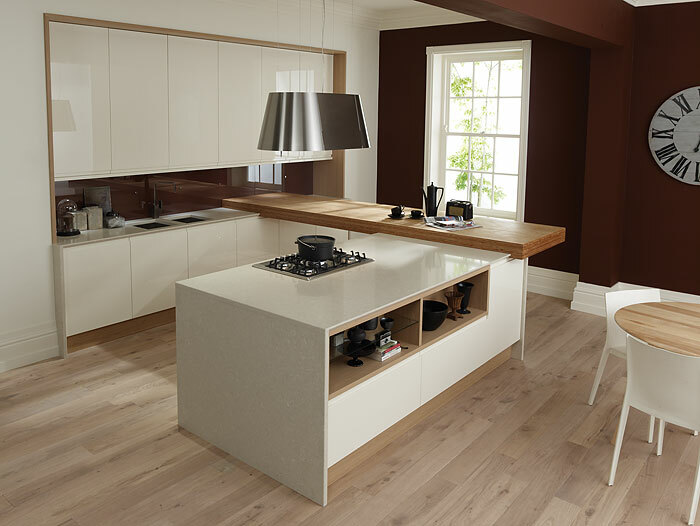 Remo is a gloss lacquered handle-free kitchen available in alabaster and white. The centrepiece of this kitchen is the extra thick bamboo worktop (120mm) on the informal breakfast bar. A full run of extra height wall cabinets gives a streamlined linear aesthetic as well as superb storage possibilities. The clever design of the island is the focus for cooking and also offers decorative storage.